Prince George's County Police are investigating the shooting death of a man outside a Suitland recreation center. 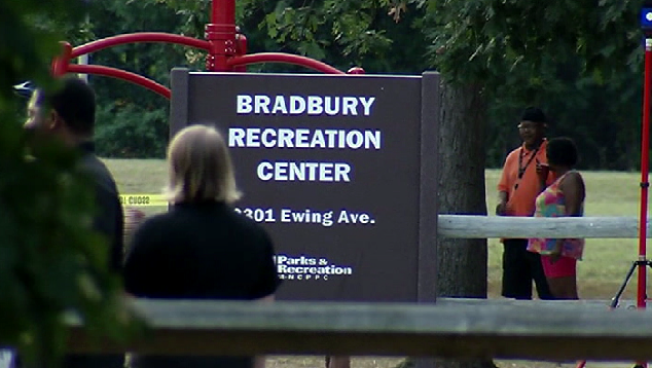 Officers were called to the Bradbury Recreation Center at about 5:30 p.m. Sunday for a report of a shooting in front of the recreation center. When they arrived, they found 22-year-old J.R. Reed Franklin of Temple Hills gravely wounded in the parking lot. Franklin was transported to an area hospital, where he later died. Maryland-National Capital Park Police Executive Lt. Brian Waters says the park was full, with many adults and children in the area. It was unclear how many people were in the immediate vicinity of the shooting. "It was peaceful. The football scrimmage was going on, people were cooking out," said the man, who did not want to be identified. The circumstances surrounding Franklin's death remain under investigation. "This was an isolated incident, and we're hoping the investigation will tell us why this individual was likely targeted," Waters said. Authorities say they have talked to numerous witnesses and brought several people into custody for questioning. This was the sixth homicide on park property in Prince George's County in little over a year. If you have any information that can help police, call 301-772-4925.